In this lavishly illustrated collection, designer Amy Butler presents 20 charming, contemporary projects for the nursery and beyond. There’s a snuggly wrap blanket, imaginative plush toys, bright diaper bags, handy travel bibs, and much more. Beautiful photos inspire, while illustrations and simple instructions explain the techniques. 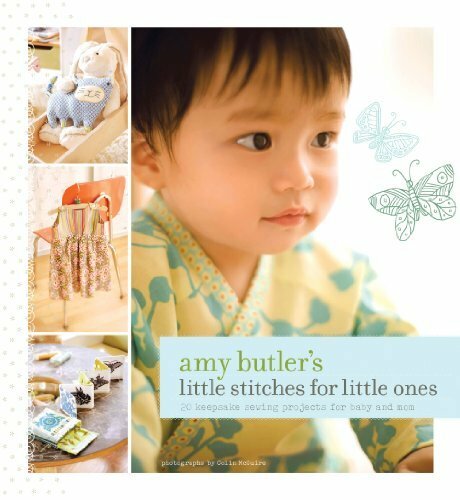 Amy also shares tips on choosing baby-friendly fabrics and includes a comprehensive techniques section, glossary, and resource guide. With her eye for detail and her signature fine craftsmanship, Amy has created a delightful offering of handcrafted keepsakes sure to be cherished by generations to come.